With Nintendo’s miniaturised NES Classic Edition, there are some things that you just don’t want to see changed, just… shrunk. Those chunky power buttons, those retro-chic air vents, that grey plastic casing that’ll inevitably turn yellow in the sun. It’s all good. But, in the 30 years since the original NES came out, there have been some gaming advancements that we’re rather fond of. Not least of which would be the advent of wireless controllers, which made the painfully short leads of the otherwise wonderful-looking NES Classic Edition even harder to stomach. But where Nintendo fears to tread, others boldly go. 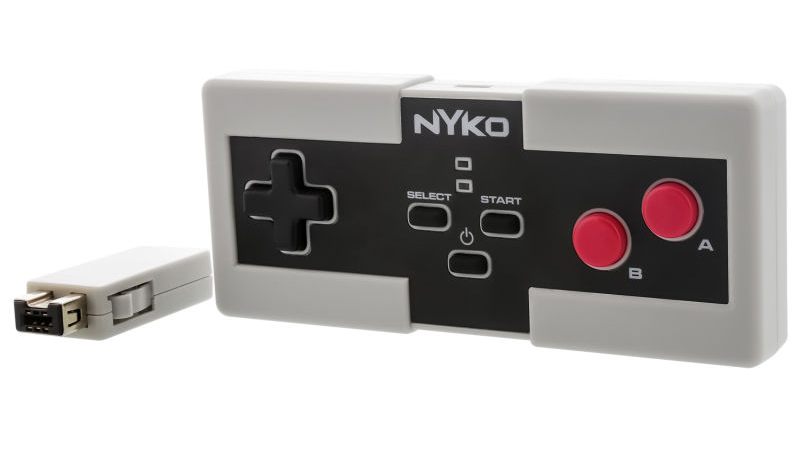 Third-party peripheral manufacturer Nyko has built the Miniboss controller, a wireless NES pad clone built specifically with the NES Classic Edition in mind. Whereas the original NES controllers had a roughly 90-inch cable, the NES-for-ants pads have a cable that’s just 31 inches long. Nyko’s controller, thanks to what it calls ‘SPACE-AGE Cordless Technology’ with its tongue firmly in cheek, offers 30 feet of wireless play away from the machine. It uses the port on the front of the mini NES merely to attach a wireless dongle, with the controller itself housing a micro USB port, seemingly for charging. Of course, it’s a bit anachronistic against the retro aesthetic that the NES Classic Edition is aiming for. But sometimes convenience simply wins out. The Nyko Miniboss for NES Classic Edition will go on sale on November 11, priced at $19.99, which is roughly £16, or AU$26.